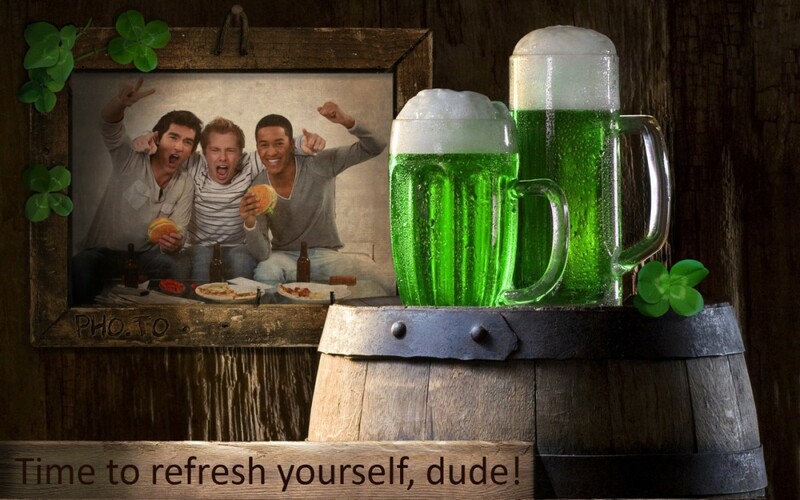 Use St Patrick's Day photo effect to create an amazing St Patrick's day ecard with a portrait of your choice, custom text and traditional St Patrick's day attributes - shamrocks and two pints of green beer. 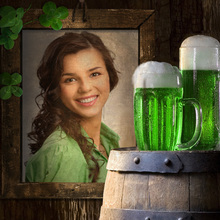 This St Patrick's Day photo montage template makes your pic look like an old, romantic portrait, surrounded with an old Irish pub interior (aged wood panels, beer barrel, etc). 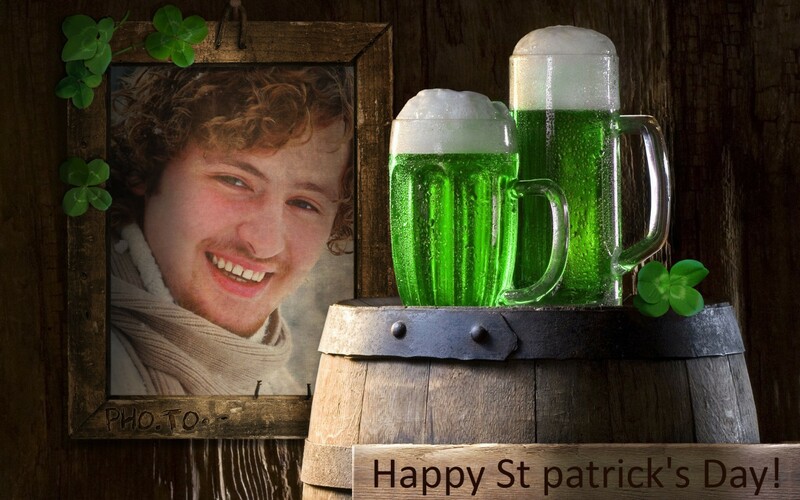 This photo effect can help you share the spirit of the holiday with your friends - you can use it as St Patrick's Day greeting card (with a portrait of your friend) or as your own avatar for social media. 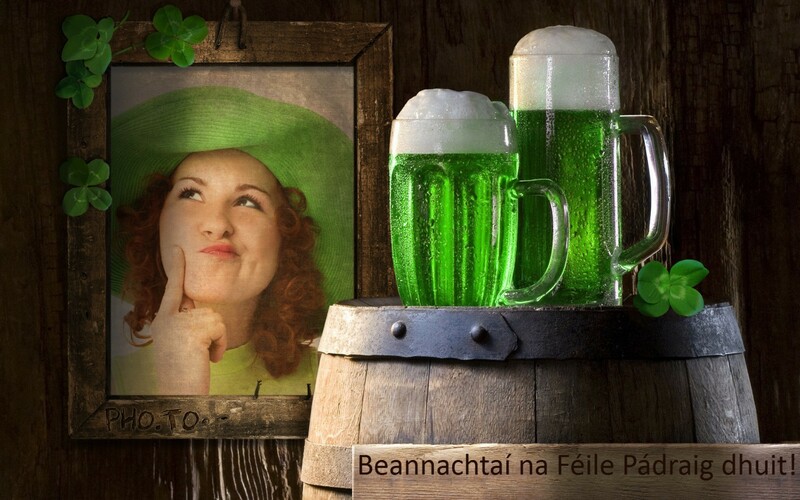 This photo collage can be considered as a digital kind of St Patrick Day crafts because it delivers a holiday-themed, stylish and creative photo greeting card with your own sincere words, just in a few moments.